By Jeff Kapembwa. March 11, 2019. This story was originally posted in The Southern Times. Zambia has rescinded restrictions imposed on the export of maize and mealie-meal to neighbouring countries, a decision that cost the Southern African state over US$1 billion in revenue in recent years. According to agriculture minister Michael Katambo, the Government decided to lift the ban after ensuring it had 700,000 metric tons of the grain in its strategic reserves across the country. Katambo further stated that the decision for the waiver came after close consultations with various stakeholders, including the Millers Association of Zambia, Zambia National Farmers Union (ZNFU) and Grain Traders Association of Zambia. The Ministry of Agriculture will apply its usual Regulated Export Regime to facilitate the exportation of maize through the eastern and southern African regions where there is increased demand for the commodity. Presently, the Regulated Export Regime has worked well. To ensure effective controls and security of the commodity, security agencies have been directed to curtail the illegal export of maize and mealie-meal. Millers that have accessed government’s subsidised maize from the Food Reserve Agency (FRA) will not be allowed to get import permits for mealie-meal, he added. In October last year, Zambia slapped a ban on the export of maize and mealie-meal to various neighbours, including Zimbabwe, Malawi, Botswana, Kenya and other consumers of the crop, following a slump in the output of maize averaging 2.4 million tonnes from 3 million tonnes harvested a season earlier. Poor rains and armyworms that ravaged large portions of land in various parts of the country where the crop had been planted worsened the downturn in maize, wheat and other crop yields. At the time, Katambo argued that the action did not warrant a ban but an administrative restriction on all exports of maize outside the country to ensure food security in the nation. The Food Reserve Agency, he added, had not reached the strategic national reserve target of 500,000 metric tons of maize. 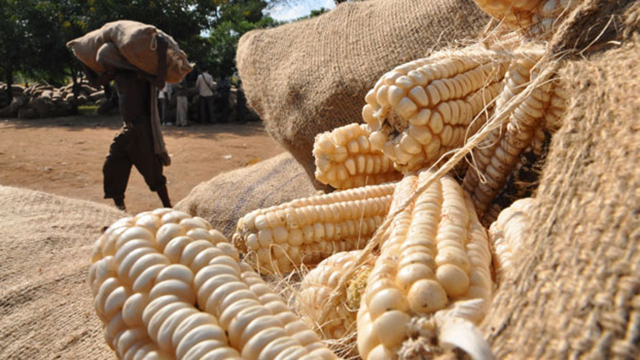 This was compounded by many small-scale farmers opting to fetch higher returns on their investments through exporting a 25-kilogram bag of maize at an average price of ZMW90 (US$8) instead of the FRA’s offer of ZMW70 (US$6) for the same quantity. This forced farmers to look elsewhere to recoup their investments. Katambo also argued that Zambia is practising a liberalised market economy to allow the private sector to participate in the purchase of the grain. The ban imposed was the second since 2017 when the government restricted exports to allow for enough food reserves. However, a study by the Indaba Agricultural Policy Research Institute (IAPRI) shows that Zambia’s inconsistencies in exports had cost the country US$1.4 billion during 2008-2016 while it further created market distortions and affected private sector investment. In its report titled: “Getting It Right: How to Make Grain Trade Work for Zambia” the think tank urged government to, among other considerations, implement the Consistent Open Border Policies.